The deadline to submit proposals for presentations at the National Interpreters Workshop (November 18-22 in Denver, CO) is this Monday, March 31st! Hopefully, Region 3 will be well-represented among presenters – don’t forget to submit your proposal! According to drawing near; have we heard from you? Don’t forget to submit a proposal for the Denver NAI National Workshop at www.interpnet.com/workshop. This year we want to mix it up a bit and offer different types of presentations and you can help. Gather your colleagues and get creative. Think of this as an interpretive program with your peers as the audience. What would they like to see? How do you think they will learn best? What can you do to make your presentation a peak experience? What will the audience take home? Here are some suggested presentation styles to get your thought-processes motivated. Click here for more information from the National Office. You’ve attended regional and national workshops, perhaps presented a session or two, learned from fellow interpreters at CIG trainings, studied in an academic setting, led collaborative programs with your colleagues. The moments when we come together to develop our skills and bond with other interpreters are valuable, but sometimes few and far between. If any of these statements resonate with you, consider becoming a contributor to the NAI Region 3 blog to continue to share and learn throughout the year! What is the time commitment required to contribute to the blog? Bloggers contribute a post about 2-3 times a year. Posts can vary in length, but they’re usually pretty short. You will have the schedule far in advance, and can write and upload your post in advance, too. What would I write about? We want to emphasize content that will help, inform, guide or amuse other interpreters who read this blog. In other words, the sky’s the limit…what would YOU like to see here? Write in your own voice. Some sample types of blog posts might include reviews of resources, promotions of upcoming events, multimedia such as videos or music (it doesn’t have to just be text), personal stories or successes. Do I need to be tech-savvy? No! WordPress (the blogging platform) is pretty user friendly, and we can walk you through the process of writing and uploading your post. I’m always available to help troubleshoot if you get lost. 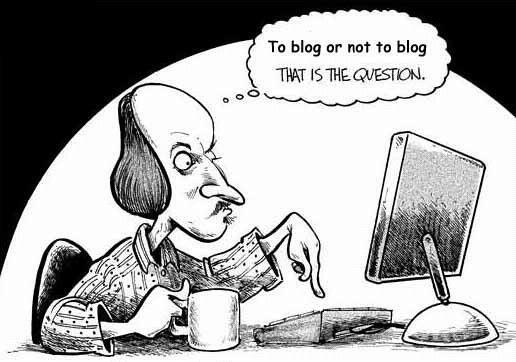 What are the benefits of blogging for Region 3? Communicate with your fellow members more often. Share your own knowledge and stories. Help us make this site as useful as it can be as a place for deeper connections and dialogue throughout the year. I hope to hear from you! Please get in touch by March 28 if you’d like to be on the schedule this year. We emerge from hibernation- a winter to remember- when a lack of electricity and treacherous roadways kept us indoors and close to home. We are re-energized with the sun and with spring’s beauty. And during this time of rebirth, we hire and train seasonal, front-line interpreters, doubling our staff for the season. This experience can either be as daunting as an ice storm or as hopeful as sun-kissed dew. A new season brings new opportunity! And with opportunity comes change. A universal concept many of us champion, can also evoke fear and intimidation. Just as a gardener tills the soil, augments its nutrients, and prepares the holes for planting, so to do Chip and Dan Heath, authors of the New York Times best seller, Switch: How to Change Things when Change is Hard. They prescribe three measures to ensure successful growth. Similar to interpretation, the authors emphasize both intellectual and emotional connections dosed with optimism. 1.) Direct the Rider by finding the bright spots. Concentrating on what works rather than on what doesn’t, focuses the brain on success rather than failure. Pointing to the direction- the goals- supports the vision and strengthens the intellectual connection with change. 2.) Motivate the Elephant by finding the feeling, tapping into that emotion, and building identity, ownership, and a growth mindset supporting the feeling. By harnessing the emotions, the Elephant can’t run away with the Rider, but be directed by the Rider. 3.) Shape the Path by breaking the pattern, clearing the way, and rallying the herd. Provide specific, concrete direction; remove unnecessary obstacles; and cheer for change. By following these three steps, we become intentional about the message we convey to our audience, those we mentor and train, lead and supervise. By harnessing the power of interpretation through connecting hearts and minds with the change, and by eliminating unnecessary steps within the status quo and rallying around the change, we support the journey. We are entrusted with a new life- a new career- and although budgets, supplies, and time may be our limiting factors for growth, we have the power to propagate strength and life as we sustainably grow a profession of ethical, life giving, life affirming interpreters. We are gardeners! Plant the seeds! Nurture their growth! And marvel at the resulting bounty!